The commute has become an integral part of our lifestyle and a significant time of our days are spent in cars driving to our place of work. 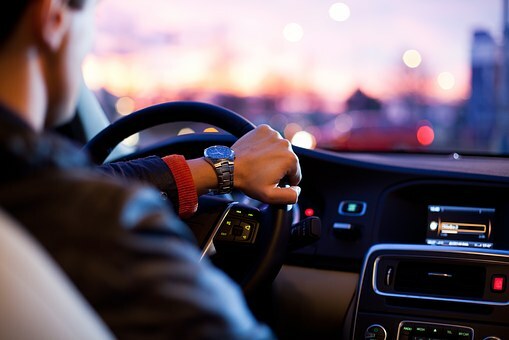 Studies have shown that there are various psychological impacts of driving long hours. Therefore, having a peaceful and comfortable ride becomes a factor you can’t afford ignore. If you want to improve your drive to work and reduce the stresses associated with driving, read on. Our drive to work is far important than it sounds because of the effect it has on our mood. Experts suggest that driving should be done with a relaxed state of mind and these points will let you know how to attain that. So, without any further ado, let’s get started with the discussion. Be in the moment while you drive: First things first, you need to be mentally present in the car while your eyes are on the road and hands on the steering wheel. Daydreaming is better done at home rather than during your morning drive to the office. You should choose public transport if you are having a tough time keeping your eyes open because of lack of sleep. There are options like chewing gum that let you stay focused while you drive so that you do not end up feeling dizzy. You can choose whatever you deem fit to stay active throughout the whole journey to work. Sleepy rides can be prone to accidents and can end up causing a lot of unwanted damage. 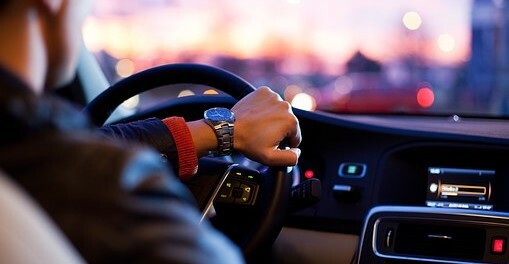 Tune in and relax: There can hardly be a nicer way of enjoying your morning ride to work than listening to your favorite playlist. If you have a long journey, music can be a great way to keep stress away. It is also recommended to have a decent sound system in your car to improve the experience of listening to music while you drive. However, do not get lost while listening to your favorite track and keep the volume low enough to have a sense of your surroundings. Loud music drowns out the noise of the road and other vehicles, which could lead to you missing a situation on the road. Car sound systems come with Bluetooth pairing capability so that you can choose a playlist using your mobile. A number of music streaming services are available with a premium experience to cut out adverts and improve your ride experience. Get your car modified: Car tuning is highly popular because of the improvements it provides both the look of your car and the driving experience. You can get your tuned to very specific requirements; make sure you consult an expert when considering a modification to ensure it makes sense for you and your car. If you own a performance or luxury car Scuderia car parts could help with any tuning or modification request. For example, if you want to modify your car by adding features like Sport Springs. Car modification can also help improve the riding experience. There are a number of companies that can transform your car to give it a new look and performance capability, make sure you choose a trusted one. Do not forget to do your homework before you tune your car and spend a large amount of money in the process. This means to do detailed market research so that you can know what customization options are available and which ones are relevant for your car. At the same time, you should also have an idea of the total cost and your budget for your desired modifications. In the light of above discussion, it can be said that your ride to work accounts for the morning hours that should not be wasted at any cost. This is why, it is recommended to use these points in order to improve your overall journey experience. Studies have shown that the quality of journey has an impact on the psychological well-being. You wouldn’t have a lot of trouble while making your ride easy and comfortable because of the available technology. Apart from this, do not forget to follow the traffic rules.